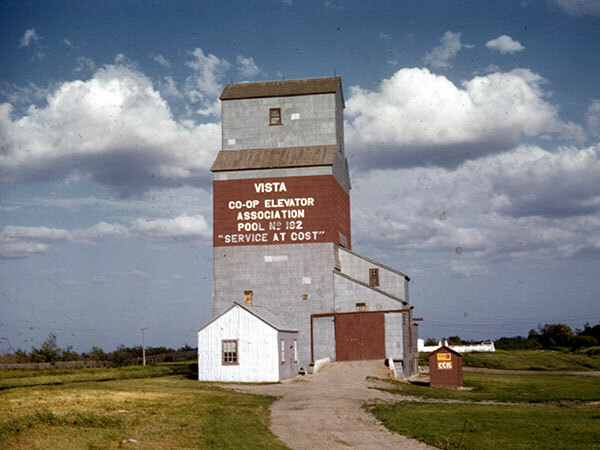 A 30,000-bushel wooden grain elevator at Vista, on the CNR Rossburn Subdivision in what is now the Municipality of Rossburn, was built around 1912 by Western Canada Flour Mills. Sold to Manitoba Pool Elevators in 1940, steel storage tanks were constructed beside it around 1964. 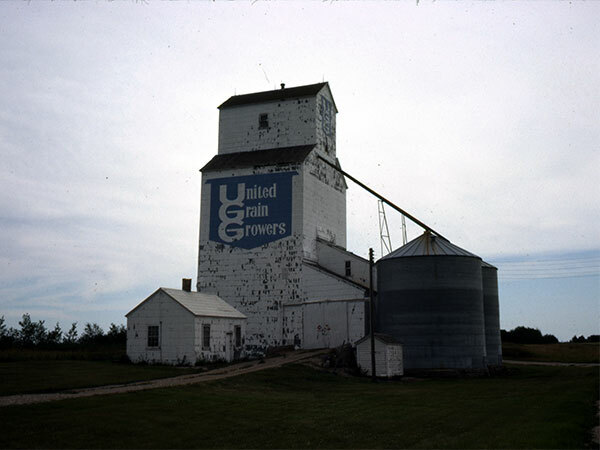 The elevator closed in July 1968 and, that October, was sold to United Grain Growers, becoming its second elevator at the site. Closed in 1983, it was later demolished. Rossburn East topographic map, 62K/10 East, Edition 1, Series A743 [Archives of Manitoba]. Obituary [Roger G. Mudge], Winnipeg Free Press, 5 July 2003. This page was prepared by Gordon Goldsborough, Denis Sabourin (Denis Sabourin Geomatics), and Glenn Dickson.